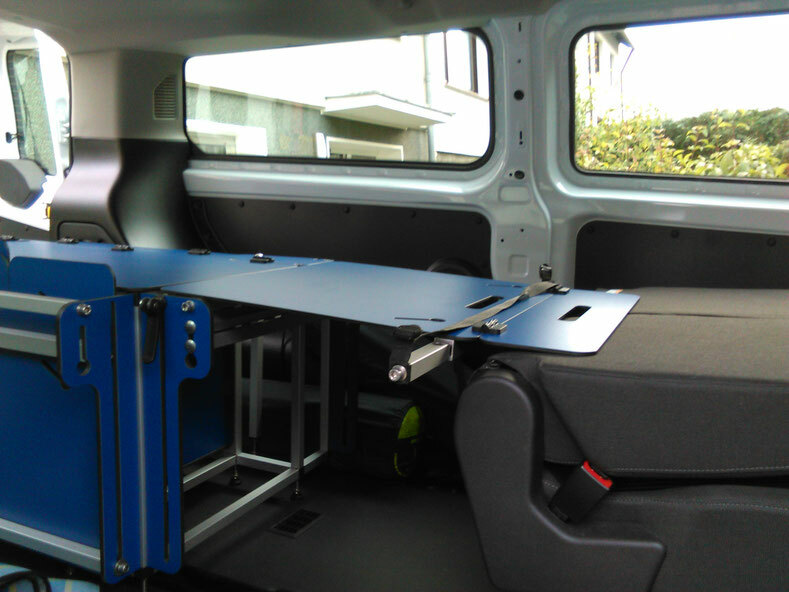 Ford Transit Custom 9 seats long wheelstand - mokea42s Webseite! 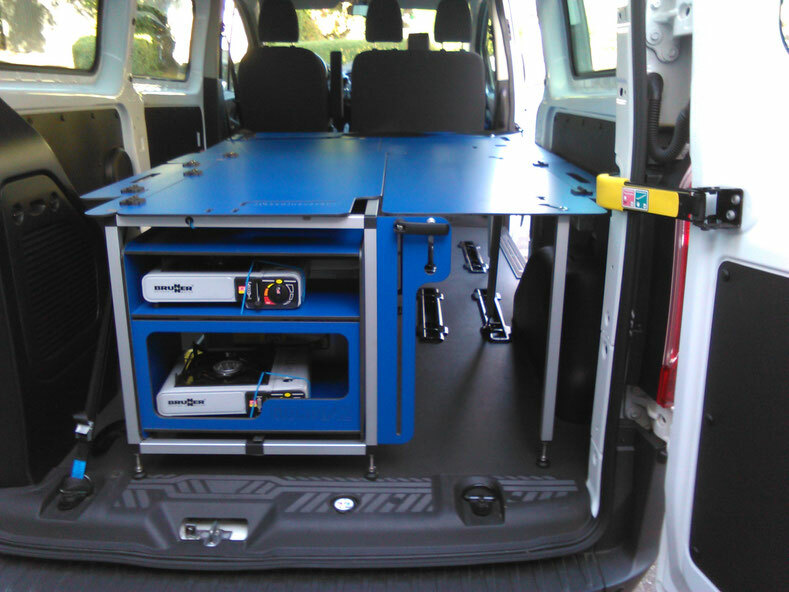 Here you see a Transit Custom with 9 seats and a long wheelstand. 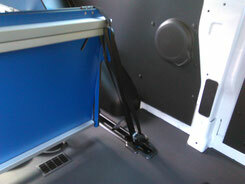 This vehicle has an additional heater on the rear left side, which leads on to air outlets in the bottom. - this model does not have a 12V-plug in the rear. You have to use the additional battery box for the water supply. The third row of the rear passenger seat has to be disassembled. The second row is, as you might see, demounted too, but it might stay in the car when the back rest is folded to the front. 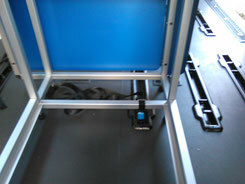 It is possible to adjust the feet that the height of the lying surfaces matches with the second row of seats. Therefore you will not need to mount the additonal poles anymore. Because of the heater on the left the unit is oriented to the right and to the back. 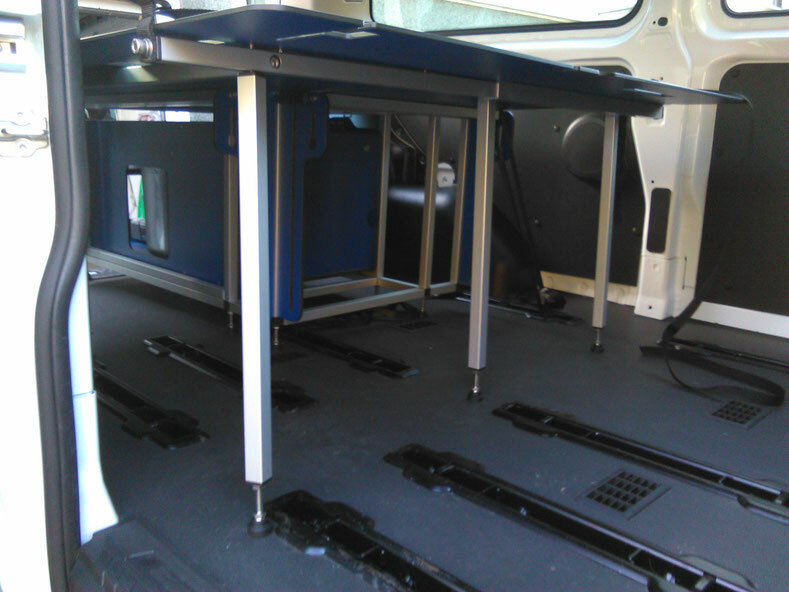 The unit is fixed to the rear point on the left, one time to a lower horizontal bar and one time at the front to the spare mounting spots of the back seats. This model of the Custom has no holding devices or other fixing points at the roof. Therefore you will need all the supplied poles. This is a van and in this special case with a Long wheelstand. There is a lot of space! Your are not restricted with gear for different board sports. Beside the single bed is easily space for two bicycles. 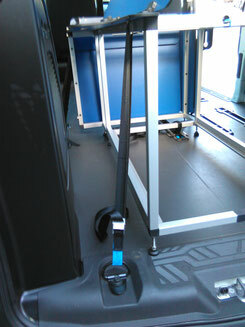 You orient the unit to the front and/or to the left side, if you need it for special equipment.